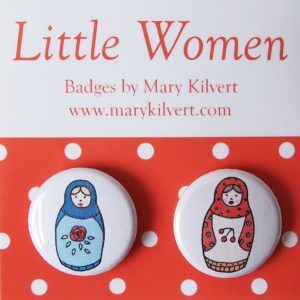 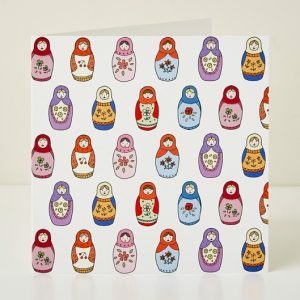 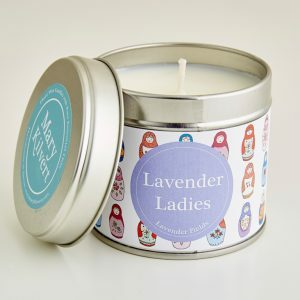 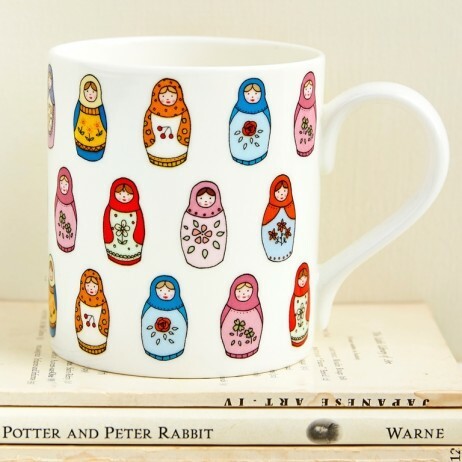 View cart “Babushka Dolls” has been added to your cart. Category: Summer, Mother's Day, Summer Sale, Sale, Ceramic, Mugs. 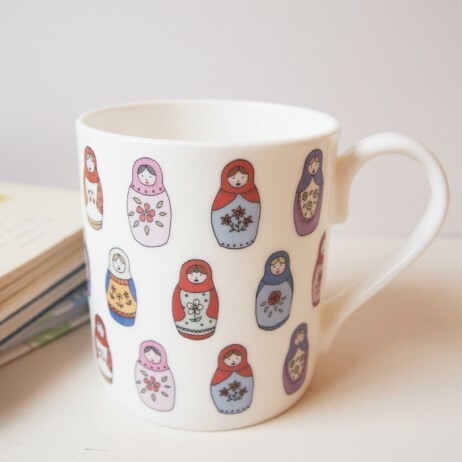 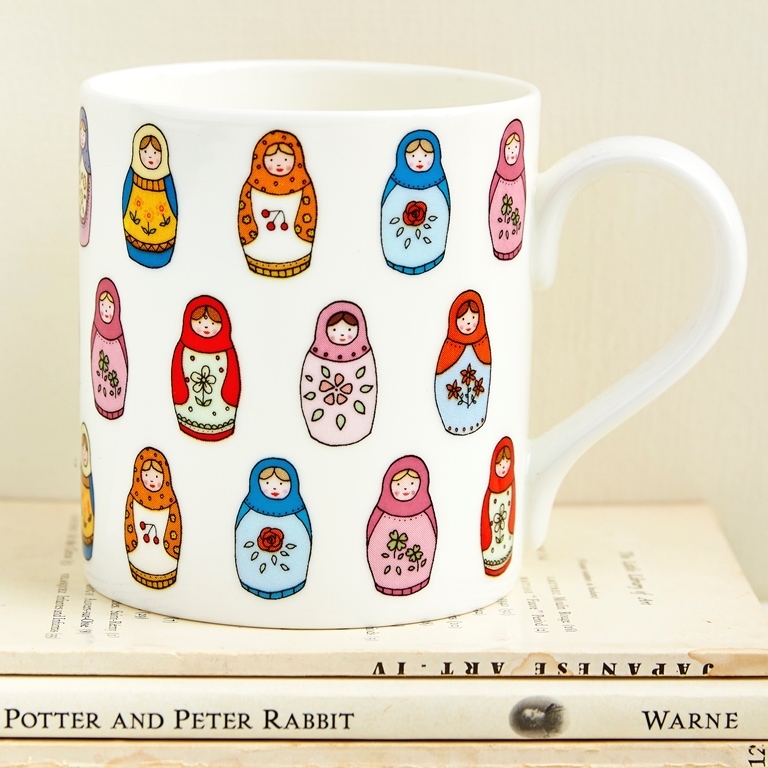 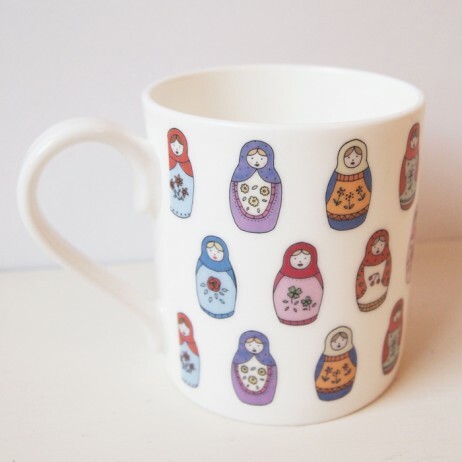 Fine Bone China Mug with illustration of babushka dolls by Mary Kilvert.